You would think Bernanke, as the alleged expert on the Great Depression—after all, that’s one of the main reasons he got the job as Chairman of the Federal Reserve—had read Fisher’s papers. And you’d be right. But the problem is that he didn’t understand them—and here we come back to the belief problem. The Great Depression forced Fisher—who was also a Neoclassical economist—to realize that the belief that the economy was always in equilibrium was false. When Bernanke read Fisher, he completely failed to grasp this point. He also has a book in the pipeline, The Climate Fix. The first 50 pages, with only a couple of pages missing, are available at the amazon look inside feature and provide a pretty clear picture of where his argument is heading. If the policies advocated here had been taken up by Rudd or Turnbull then perhaps they would not have ended up in the political meat grinder. They also differ significantly from the current policies of The Greens (anti development), the Coalition (our current technology is sufficient to do the job) and Gillard's ridiculous citizens assembly (we lack conviction so pass the buck). If only some of our politicians would grow a brain, the solution is there waiting to be found. I'll keep my eye on this discussion thread over the next few days. Discussions at Brave New Climate often reflect a wide range of opinions some of them well informed. The lead article is well researched. There is a cautionary editorial at the beginning from Barry Brook, the owner of BNC. Renewables can't supply the energy we need. In the long term our energy future is nuclear. 1) Launch price wars without reinvestment, keep that going for as long as possible. 3) Compete by investing in new technology. This increases output (overproduction, although he does not use that word) and causes prices to fall. One of the problems here is that in a competitive environment business throws away technologies before they have paid for themselves, to replace them with even newer technologies. 5) The strengthening of intellectual property law, creating cartels, is another response to increased competition. One effect of this is to severely limit the development of science and technology. There is a disencentive for others to follow in the footsteps of the original creators. The violation of intellectual property rights leads to high legal costs for those who try to break through this barrier and creates uncertainty. 6) Growth of the financial sector. Once again this is contradictory. It is true that many companies need credit to get off the floor. However, valuable resources are siphoned off into the financial system. For example, during the dot com era a good number of physicists and mathematicians went into the financial system, rather than doing anything directly productive. Finance itself becomes a disciplinary force on business. Business ends up following finance more than it follows markets. A business may cut back on R&D because that creates a cost with an uncertain payoff. If your profits are low then financial players may come and take over your company. On a deeper level, this book calls the conception of competition into question. I show that intense competition is equivalent to a depression, yet most economists believe that competition is good and depressions are bad. If you vote for Abbott there is a huge risk you'll get Gillard. If you vote for Gillard there is a huge risk that you'll get Abbott. If you vote for the Greens there is a huge risk you'll get Gillard (preference deals). Since there wasn't much difference between Labour and the Coalition to start with and since Labour then backtracked on most of the small differences that did exist, then this election is even more strongly tweedle-dum and tweedle-dee than usual. Democracy means something in countries where religious fundamentalism is a real issue (if the Taliban becomes government again if Afghanistan then religious fundamentalism runs that government) but has become a bore in countries where modernity is clearly established . Democracy is something people are literally dying for in undemocratic or recently democratic countries (Iran, Iraq, Saudi Arabia, Afghanistan, Burma (Myanmar), North Korea, China, Zimbabwe, South Africa) but is something people are bored to near death with, at least in Australia, since we are given no real choice on election day. Britain recently was no different and in the USA Obama has turned out to be just another Democrat politician. All the major parties are Mick Jagger parties: "I can't get no satisfaction"
At some point the political boredom will turn into something else. When the economic crisis really hits then the promise of both parties to restore the surplus will look particularly hollow. Which in the end brings home that capitalist democracy is limited by the system which it serves. From this interview you obtain a real sense of why Hitchens is so highly regarded as a significant public intellectual - intelligent, deep knowledge of history as well as current affairs, masterly orator, sense of humour, ability to think on his feet and recall detailed argumentation, principled, sometimes contrarian, loyal to his friends and awareness of his own strengths and weaknesses. We need more public intellectuals like Hitchens. Alfredo Saad-Filho provides a good explanation of materialist dialectics in chapter one of his book, which is available on line The Value of Marx(pdf). I've only read chapter one of Saad-Filho so far but this might also be a good modern guide to reading Capital. Chapter one of Capital is the most difficult and for most mere mortals a guide is necessary. I thought I had understood dialectics through reading Mao's philosophical essays many years ago but now realise that I hadn't understood the initial non obvious phase of concept formation, particularly the importance of history and abstraction in that process. eg. how in Capital Marx identifies the concept of value. "The U.S. fiscal gap associated with today’s federal fiscal policy is huge for plausible discount rates ... closing the fiscal gap requires a permanent annual fiscal adjustment equal to about 14 percent of U.S. GDP"
And bond traders will kick us miles down our road once they wake up and realize the U.S. is in worse fiscal shape than Greece. There is a difference b/w monopoly skills (a worker being indispensable) and general adaptability skills (being flexible enough to "go with the flow" on the job). The former is allowed but never fully recognised, the latter is essential to the ongoing continuity or reproducibility of the system. Monopoly skills, indispensability, is anathema to capitalism. Sooner or later all workers have to be replaced. Some creative workers may develop monopoly, indispensable skills. For example, a brilliant English teacher may develop outstanding skills in developing, delivering and assessing a course in Holocaust literature (well worth reading). But when it comes to the ongoing continuity of the system this does not count. The cheaper replacement teacher does not have to have these indispensable skills. In the final analysis creativity does not count, the system does not like it. This is implicit in teacher training courses, which have a requirement of general skill level and adaptability but not brilliance or excellence in any particular area. Exceptional creativity just does scale in a system or sausage factory of mass production. And when this transfers to on the job skills then hard work - to the point of modern day slavery, not having a real life outside the job, see Martha Infante's ridiculous comment which triggered Tom's rage - and adaptability, being able to do a wide range of different tasks to a good enough standard, are more valued than deep creative brilliance. The ongoing historical trend of the dynamics of capitalist production is in the direction of deskilling, simplifying and where possible human labour being converted into machine labour. David Harvey has a great section in his book Limits to Capital, Ch 4.2 The Labour Process, where he explains Marx's words about the social process that goes on behind the backs of producers which reduces skilled to simple labour. It is true that brilliant, creative individuals such as Mark Shuttleworth, Paul Graham, Nicholas Negroponte or Brewster Kahle can make personal fortunes by creating and selling their inventions to capitalists and then using their wealth for the public good, more or less. The system cannot eliminate creativity completely. Other brilliant individuals make fortunes as entertainers in sport or music. The system also needs to keep us entertained and distracted. A deeper analysis would require a further elaboration of these categories. But I believe the general trend is clear, as illustrated by Beth Aviv's tale. These issues are also raised by Tom Friedman's book The World is Flat, where he talks about plain vanilla jobs being exported to the developing world through globalization and that to retain your job in the industrialised world you need to develop some special, indispensible skills. However, David Harvey takes this analysis further than Friedman. Christopher Hitchen's is making the best of it but the prognosis is not good. So Labour sacked the unpopular and unelectable Rudd and appointed the popular Gillard as Prime Minister so they could win the upcoming election. 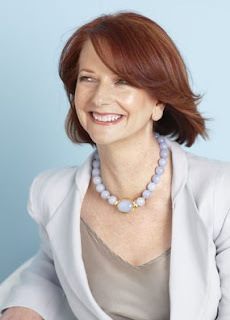 But now the "popular" Gillard has made Abbott the Coalition more popular than she is, so the "unpopular" Rudd has stepped forward to campaign more broadly in order to convert the now unelectable Labour into electable Labour. Some writers (Roughtheory) argue that Marx's Capital is really theatre, that illustrates the absurdity of the human condition, at least in our current social and economic system. Marx does talk about the capitalist as capital personified and much more along those lines. Like everything else with Marx this idea has been both much discussed and much distorted. But to be a capitalist you do have to devote a significant portion of your life to reproducing and nourishing capital, a "mere thing". In one sense that "mere thing" takes over the life or significant parts of the life of a human. Capital is difficult reading. I wonder if it could reach a wider audience if aspects of it were presented as a play. Skilling: I have to check the stock price. Skilling: Because that's how daddy knows how much he's worth. Skilling: Because the market tells me. Neither Labour nor the Coalition will be announcing a policy about this in the current election campaign. Steve Keen warns that Australia is heading for a collapse in housing prices which will devastate our economy. There is however one important way in which house prices do differ from shares: the first sign of trouble is not a sudden drop in prices, but a fall in the number of sales and an increase in the length of time it takes for properties to sell. That sign was evident in the data from the last year or so, which is why I argued that a fall in house prices was imminent in a previous article on Business Spectator. Now that the data are unequivocal, the following processes are likely. Given the skewing of our market away from owner-occupiers and towards speculators in the last two decades, this second effect could cause a sudden increase in the number of properties on the market—at just the same time that buyers have become more relaxed about closing a sale. It’s this sort of process in an asset market that is why asset prices don’t “taper”—or “plateau”, to use a word from an earlier time. Educational approaches tend to flip flop between rote learning and relevance or surface motivational learning. Although both of these have their place what they both lack is a deep understanding of the actual subject knowledge being taught. The reason little progress is made in educational reform is that it is really hard work to deepen subject knowledge. It doesn't scale. It would require us as a society to take education far more seriously. Teaching in higher education requires that we continually develop our understanding of our subject. As a young lecturer, I remember feeling constant frustration about my inability to get my students to grasp the meaning of simple concepts such as “society” and “the social”. I still feel a twinge of embarrassment when I recall my early futile attempts to go beyond very formal expositions about the difference between nature and nurture. It was only after a series of disappointing episodes of miscommunication that I decided to spend some time reading about this subject to see if I could teach it more effectively. A week later I tried it out in one of my seminars. “Even an apparently biological act like eating is socially mediated,” I explained, before elaborating on Marx’s example. Did it work? Almost immediately one of my Nigerian students pointed out that “you Europeans worry about overeating while we in Africa are concerned about not having enough food in our belly”. A few minutes later another student raised the question of eating disorders. “It is unlikely that people in the Stone Age knew very much about anorexia,” she posited. By the end of the seminar, the students had begun to internalise the concept of “social” and I learnt how to teach this subject more effectively. This also helped me understand why I am taking time off work to study political economy. I simply was not satisfied with my depth of understanding of society and how it works. The way in which apparently simple concepts like "eating" change their meaning as a result of changes in the productive forces and relationships in society relates closely to how we understand concepts such as value, labour and capital as well. There is something disturbing about the cover of the Women's Weekly, adorned by a beaming Prime Minister. It's beautiful, glossy, near perfect. It's also utterly contrived. It's disturbing because the makeover is a metaphor for the Labor campaign. I agree with Chris Uhlmann's analysis of the Labour campaign. It just seems to me that Labour has been like this - phony - for a long time but now it has become more obvious. Is even Women's Weekly now working against Labour? Great discussion here, in the comments, between Michael Tobis, Roger Pielke jnr and others including Richard Tol about Roger's book The Honest Broker. What is the nature of science, the nature of politics and how do they interrelate? (Pielke) develops four idealized roles for scientists in the policy process. The pure scientist attempts to remain detached from politics and policy, focusing only on research without consideration for its use. The science arbiter answers scientific questions for decision makers but avoids considering normative questions. The issue advocate uses scientific information to advance a specific political agenda or policy alternative. Finally, the honest broker of policy alternatives expands, or at least clarifies, the scope of choice for the decision maker through the integration of knowledge and a broad consideration of possible alternatives. Pielke argues that the decision contexts in which scientists operate range from “Tornado Politics” to “Abortion Politics.” By Tornado Politics, Pielke means a context characterized by limited choices, agreement about values, and high certainty about the relationship between available alternatives and valued outcomes. Thus, a group of people deciding whether to seek shelter from an approaching tornado is engaged in Tornado Politics. In contrast, by Abortion Politics, Pielke means a context characterized by a large number of possible alternatives, competing goals and values, and uncertainty about how alternatives relate to valued outcomes. Pielke (p. 43) posits that scientific information can help “assess decision alternatives” in situations involving Tornado Politics, but it can only “justify decision commitments” in situations involving Abortion Politics. This is because, Pielke argues, scientific information only compels action in instances without substantial value conflict—science cannot reconcile conflicting values. From the discussion at Michael Tobis's blog, Pielke jnr said "If you think that you are in a debate that can be resolved in some manner through appeals to science, you are wrong." The Michael Tobis blog discussion is about whether climate change is a Tornado type discussion (mainly empirical) or an Abortion type discussion (mainly about values). Since it does fit the latter category, Roger is correct IMO. We would end up achieving more useful results (for example, more research into energy alternatives such as the Boron car, serious development of pilot nuclear programs like the Integral Fast Reactor) if believers became less zealous about the necessity of achieving CO2 reduction targets in definite timelines. The public believes in AGW but is not prepared to alter their lifestyle to achieve reductions. The demise of Rudd and Turnbull illustrate the non productive nature of a radical "must do" stance on this issue. Also scientists should not pretend to be certain about projecting trends 50 years ahead, the should acknowledge the uncertainty involved in such projections (and the state of the science in general) more openly. For evaluation of the science itself I recommend the Pielke snr blog.